Normally you would be happy to go to the airport, but not this time. My love, Aaron is leaving. He's going back to Australia, which is not fun! I so want him to stay here! I could never forget him, not even if I tried! I'm so happy I got to spent 18 hours with him on the bus! I'm gonna try not to cry my eyes out this time... Even though I think it's impossible to say goodbye do an exchange student (specially someone like him) without crying. I'm gonna challenge myself! 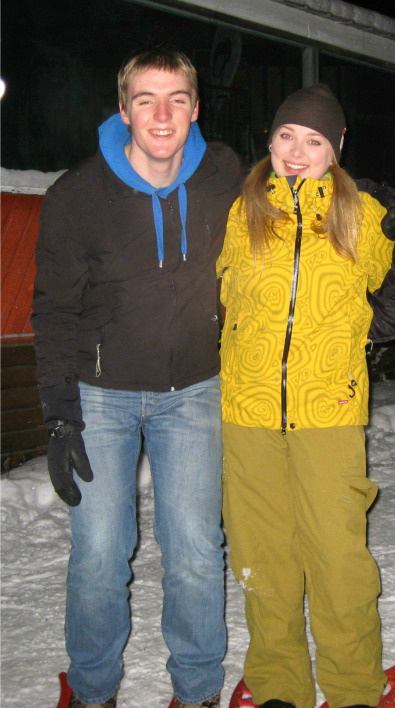 Lapland was amazing! I'm so glad I got to go! It was sad, of course, but I loved it!